No, I am not promoting rapping in this post, but I am applauding confidence in speaking about serious matters. This young boy, not only had the courage to showcase his talent, but chose to rap about a very dangerous and real threat... Bullying. Bullying happens in most venues where there are large groups of kids. It can happen in schools, gyms, family gatherings, parties, etc. 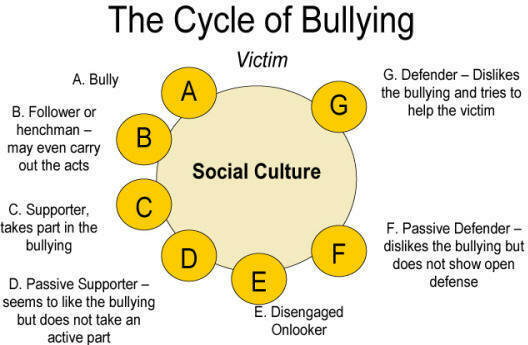 There are different types of bullying, which include cyber bullying. Cyber bullying refers to the use of the Internet, interactive and digital technologies or mobile devices to harm others in a repetitive and intentional way. It is usually adopted by children in middle school. Girls usually use more subtle ways of bullying, including gossiping and exclusion (leaving the girl out of the group). Boys use more apparent and more aggressive ways to bully, including repeated physical attacks. The problem remains and exists when children refuse to speak-up. In schools, having teachers around is helpful, but kids are manipulative and smart, and they can find places that are not supervised. It is thus, very important that schools adopt a No Tolerance policy to bullying. The first step though, is to educate the kids and adults about the dangers and consequences of bullying. Another key defense to this threat is building your child's self-esteem. 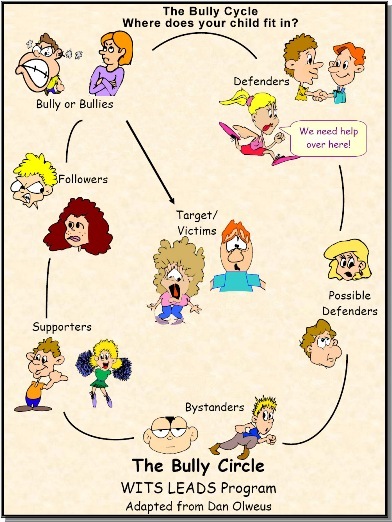 If your child is confident enough to stand-up to the bully, or report an incident s/he has seen, we break the cycle. As you can see above, there are individuals who witness the bullying and do not interfere, these individuals have allowed the bullying just by remaining quiet. The diagram below is the same cycle, but AFTER an educational intervention. You can see how the defenders, supporters, and passive defenders have shifted to the right side of the cycle. This means they are more likely to seek help and support the victim. This next image is a nice one to show your kids when you are discussing bullying. 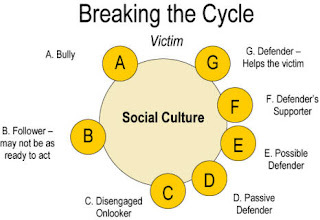 Do ask yourself and them "where do you fit in in this cycle?"